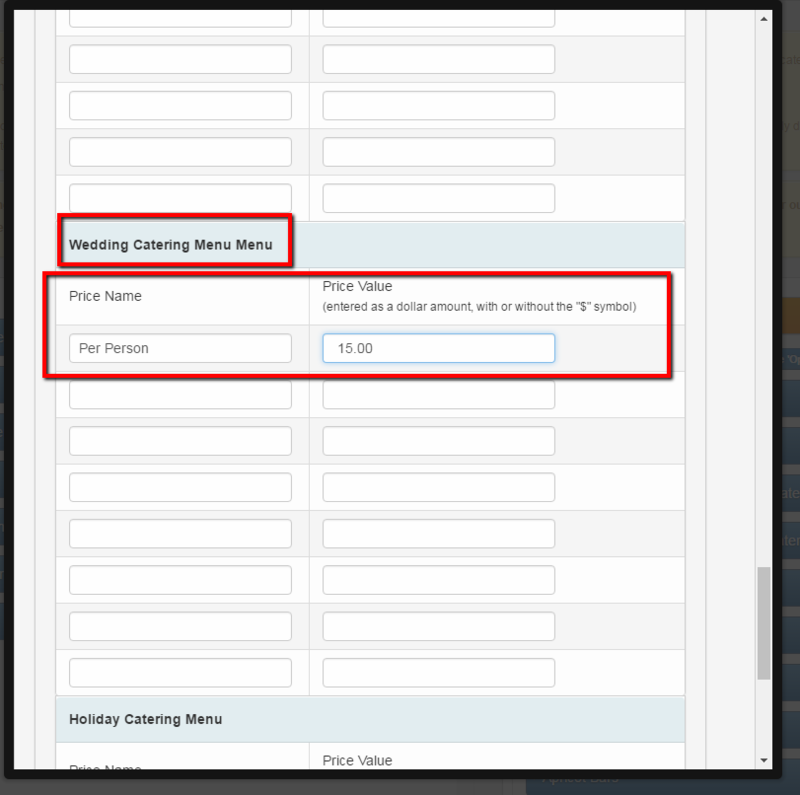 In this article we will go over how to create Menu Items . 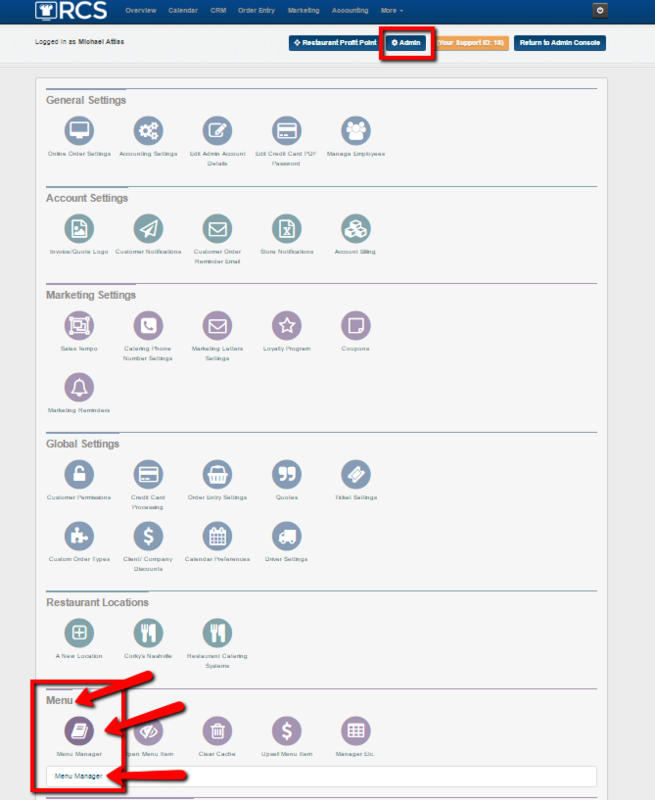 Please note the Menu and Categories (see article) must be created before you can create a new Menu Item. 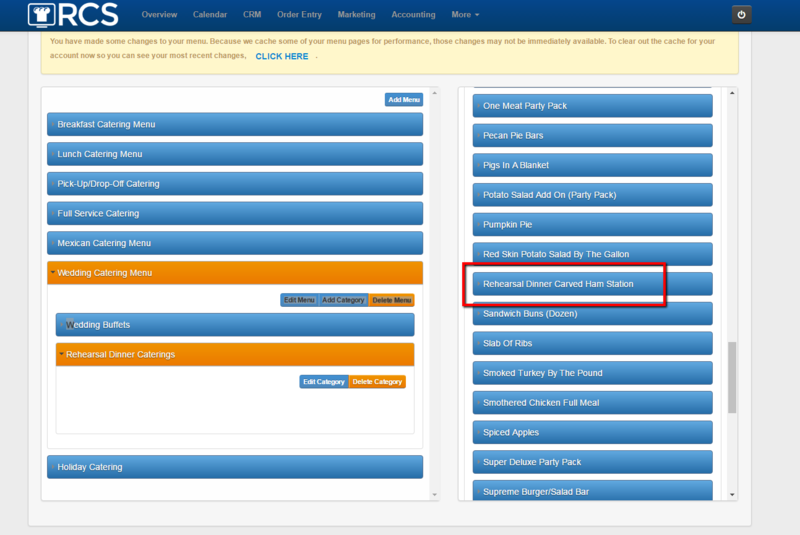 2 - You will then see your Menus to the Left of the page and the Items tab to the Right of the page. 3 - Click on the Items tab and below will be a list of the existing menu items that we have created for you. 4 - Next click on the Create New Item tab. 5 - A pop up box will appear allowing you to create the new menu item. A - Give the menu item a name. B - List the menu items description. 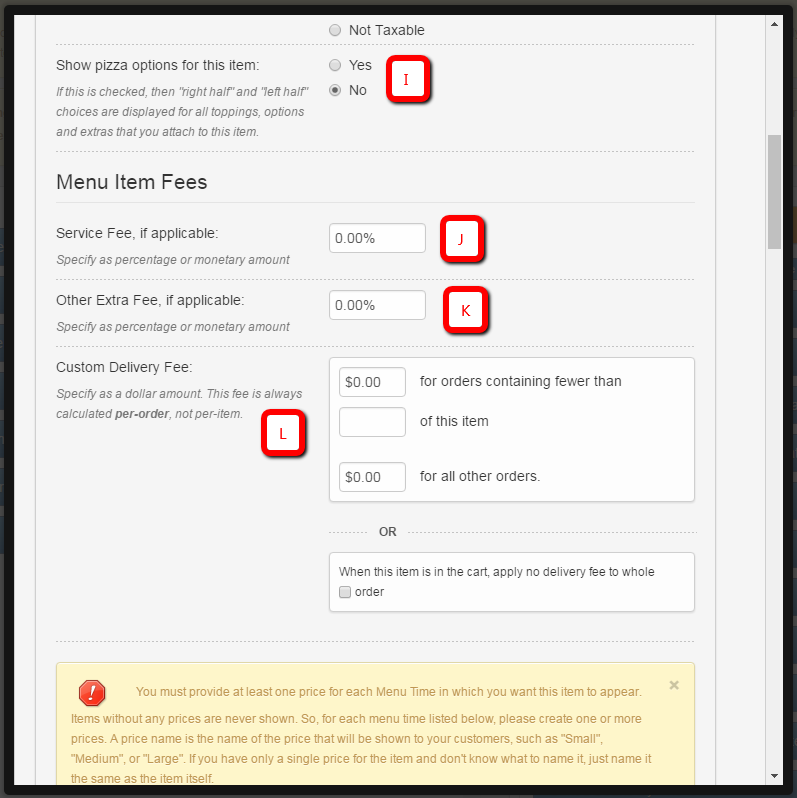 C - Create the minimum prep time that you need for the menu item. 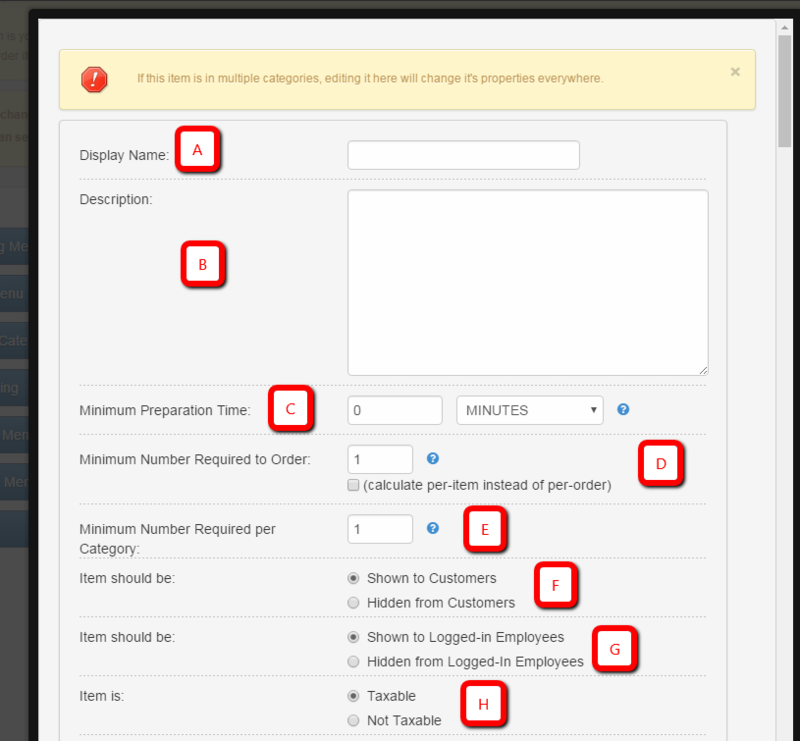 E - Set the minimum number to required to order in the category. So for example the customers to order at least 10 menu items for the dessert category. F - If you don't want the customer to see the menu item you can hide it here. G - If you don't want the employees to see this menu item you can hide it here. H - Is the menu item taxable? I - If this is a Pizza menu item check off the bubble for 'yes'. 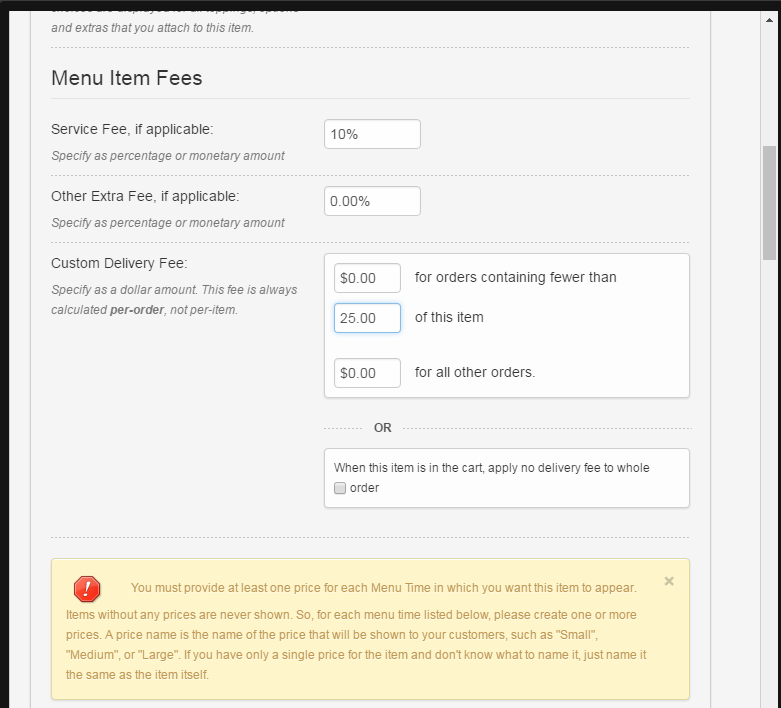 J - If there is a service fee you want to add for this specific menu item you can add it here. K - If there is additional fee (other then the service fee) you can add it here. L - If this menu item needs a special delivery fee you can add it here. 6 - The next section will be where to list the price. 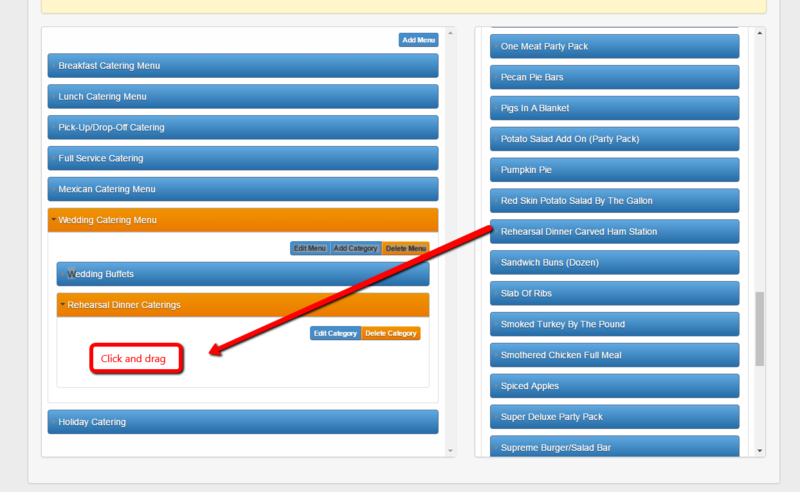 Make sure to scroll down and find the menu that the menu item will appear under. Please note the menu item CAN appear under more then one menu. Give the Price A Name (per person - per order - etc) and then list the Price. 7 - Please do not forget to click Save after creating your new Menu Item. 8 - Your menu item has now been created. Next you will need to add it to the menu and category. 9 - Leave the Items tab Open (orange). 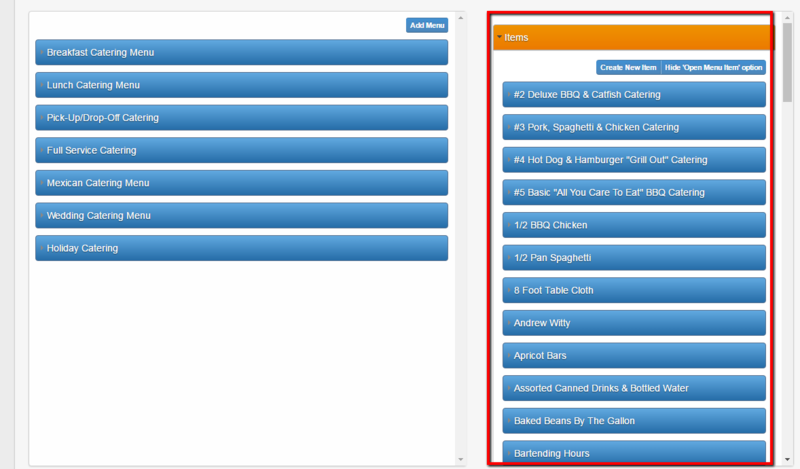 Click on the Menu and then the Category you want the Menu Item to appear under. 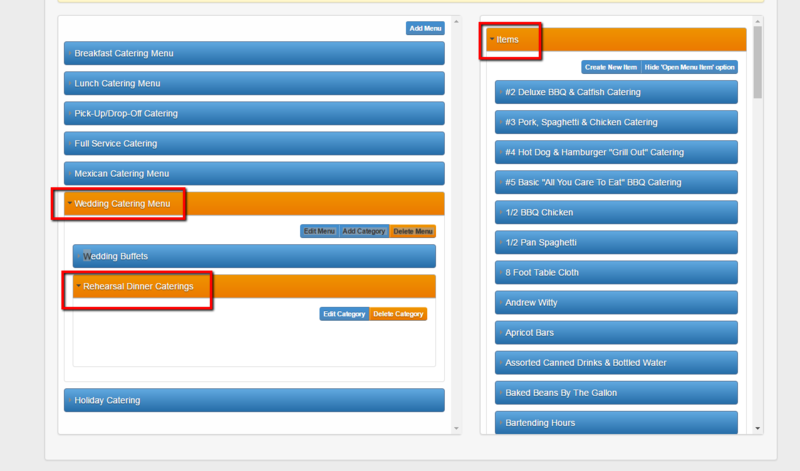 10 - Next go over to the Menu Items and scroll till you see the menu item you created (listed in alphabetical order). Your Menu Item has now been added to your Menu and Category.